I have a HUGE appreciation for creative genius! 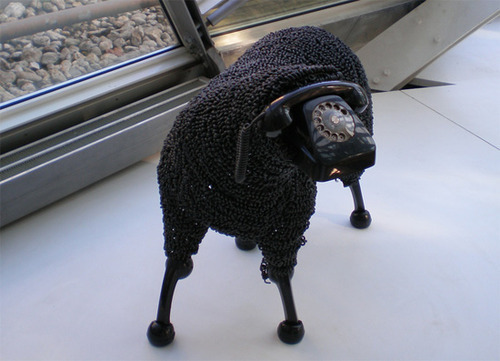 Just look at these sheep created from old rotary telephones. LOVE them! And there is always at least one black sheep in the family! 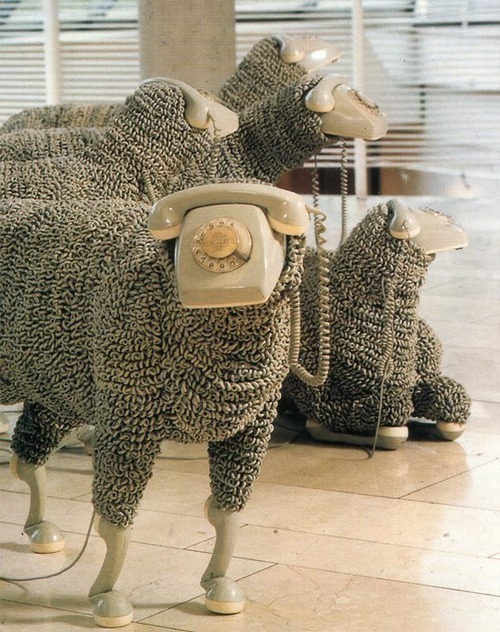 Yes, the bodies are the telephone cords. Remember those long cords? We had a 10ft cord at our house…which I think was stretched to about 20ft after 3 teenage girls used it. Side note: My son recently found an old unused rotary dial telephone at his grandparent’s house and brought it home. I literally laughed out loud when I had to show him how to dial on it!